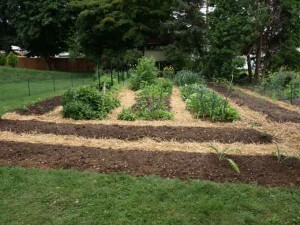 The use of zones is a practical Permaculture concept that’s worthy of incorporating into the backyard vegetable garden. The basic idea is to organize your landscape into growing zones that will make it easier and more convenient to care for your plants. Zones are identified based on the relative location and accessibility, and then crops or gardening activities are matched to these regions depending on their allotment of time, space, labor, and other requirements. Zone 1 consists of the growing areas that are closest at hand and can be occupied by a variety of plants that are compact, productive, and require intensive management. 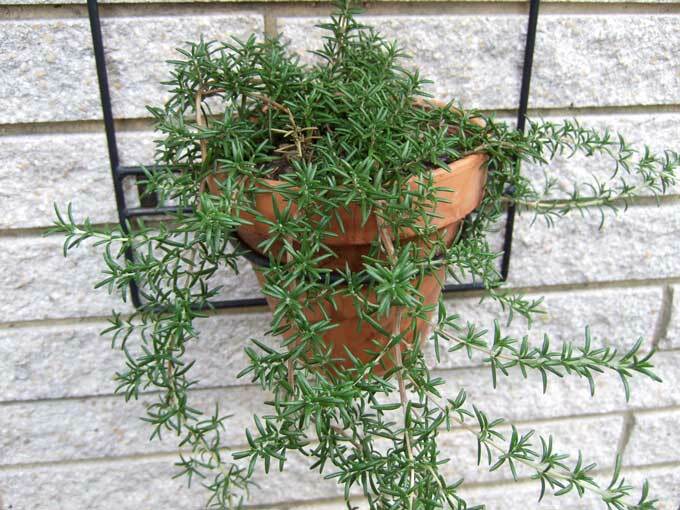 Examples of Zone 1 cultivation could range from a windowsill of potted herbs, to a deck or patio filled with containers of fig trees and bay laurel plants, or even a bed of edible flowers, baby cutting lettuces, and culinary herbs all growing alongside the home. Zone 1 harbors plants nearby for easy access to the crops that you use most often; such as culinary herbs and fresh garnishes. 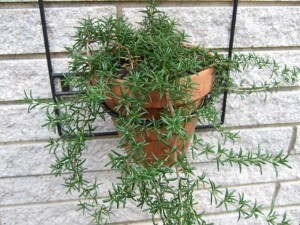 Or it can serve as a base for plants that require frequent attention; such as container grown edibles. The close proximity means that demanding plants occupying this initial zone are much less likely to be forgotten or neglected! Extending out into the landscape will be additional zones that are arranged according to increasing distances and decreasing access. Crops are then organized according to their needs and how often they require direct attention. Zones don’t have to be laid out in sequence and in some cases a particular zone can be omitted altogether. The intermediate gardening zones are where most of the action takes place, and will likely be the most productive areas of an edible landscape. Zone 2 is not as closely managed but still occupies a very convenient and readily accessible location. 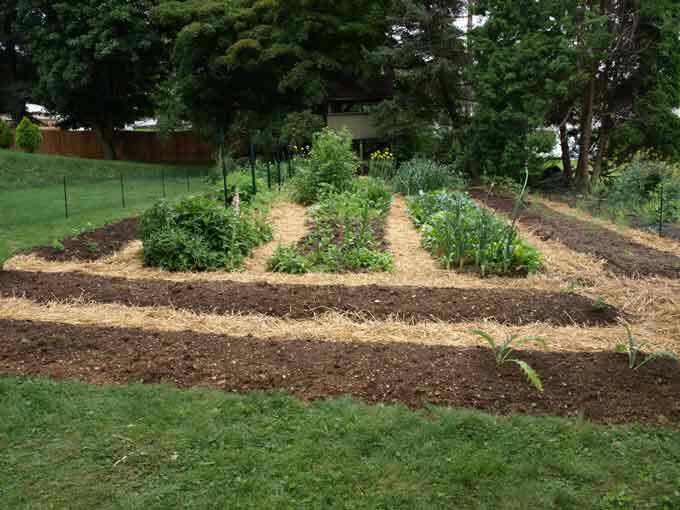 This is a perfect spot for the raised beds of your main vegetable garden. This second zone doesn’t require the constant, daily attention of the plants in the first zone though. Next up, Zone 3 requires even less management, can be a bit further removed, and would make a great location for those perennial edible beds containing asparagus, rhubarb, blackberries, fruit trees, or a medicinal herb garden. Zone 3 could also be the ideal place for those special backyard gardening projects such as worm composting bins and solitary bee shelters. Zone 4 can be situated in a more remote or less visible section of the landscape. Crops in this area require only minimal or seasonal attention. 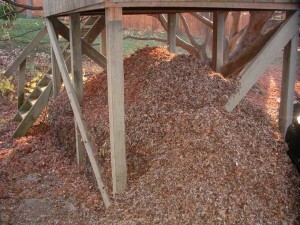 Examples of Zone 4 crops include such low maintenance items as mushroom logs and your compost pile. Finally, Zone 5 is located on the perimeter or most remote parts of the landscape and consist of wild or barely managed regions. Examples of zone 5 areas around the home include hedgerows, fence lines, border plantings, and areas that are left intentionally uncultivated. Zone 5 should be a sanctuary for wildlife and a place where you can watch and learn from the lessons that Mother Nature reveals when left to her own devices. No matter how large or small your landscape may be, and regardless of where it is located, working from the perspective of zones will help you to become a more efficient and wiser gardener and to manage your entire landscape better! Yes, that is right. There should some control on growing plants. People can start looking at growing theirs indoors too. Next post: How Good are You at Identifying Tropical Fruits?